The Public Art Pollinator Pasture Project ran a series of events at the Kelowna Art Gallery this summer in conjunction with the gallery show, For All is For Yourself. All events took place at the Kelowna Art Gallery, 1315 Water St, Kelowna. 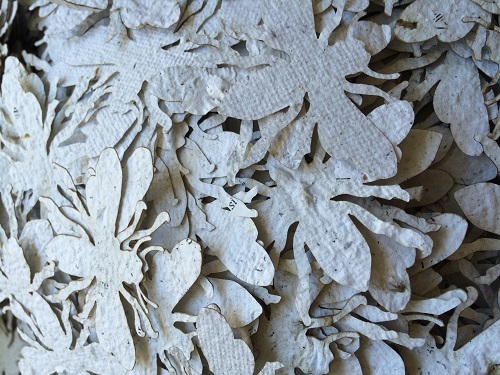 Friday, July 8: Cameron Cartiere, Artist Talk 7 – 8:30 PM Cameron Cartiere and the chART collective’s, For All Is For Yourself explored ways of increasing sustainable habitat for bees. Cameron talked about the development of the installation, the Richmond and Kelowna Bee Pastures, and how these can contribute to helping our wild bee populations. Thursday, July 21: Claudette Lamont Talk 7- 8:30PM Claudette and her spouse, Eian, shared their vast knowledge and experience of over 50 years of beekeeping in the Okanagan. She shared photographs, discussed honeybees, the land and the changing climate they have experienced farming on one site for many years together. 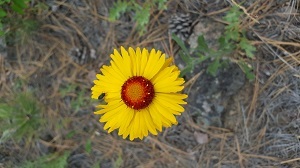 Sunday, August 21: Bees Live Here 1 – 4 PM , Family Sunday at the KAG. Did you know many bees actually live in the ground? And that healthy garden homes for bees have some special requirements? We made special signs to mark where we find bee homes in our yards and to let our neighbours and friends know we have Bee Friendly Gardens. 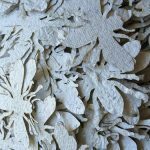 Saturday, October 1: Create an Insect Hotel / Wild Bienenhaus 10 AM – 4 PM We built homes for pollinators and pest controllers. Many solitary bees and other insects live in bee hotels all over the world. This one has been built to be permanently placed on site at Brent’s Grist Mill Heritage site as part of Culture Days and The Kelowna Public Art Pollinator Project. Thursday, October 6: Mark Winston Lecture and Paper Bee Swarm 7 – 8:30 PM Mark Winston, author of the Governor General award winning book Bee Time: Lessons From the Hive, gave a talk to conclude the exhibition For All Is For Yourself and the public was invited to take the paper bees embedded with Gaillardia seed off the walls of the gallery to plant in their own gardens. Mark Winston has had a distinguished career researching, teaching, writing and commenting on bees and agriculture, environmental issues, and science policy. He currently is Academic Director of Simon Fraser University’s Centre for Dialogue, and a Professor of Biological Sciences. Watch here and the Kelowna Art Gallery website for programming at the Gallery related to this project.